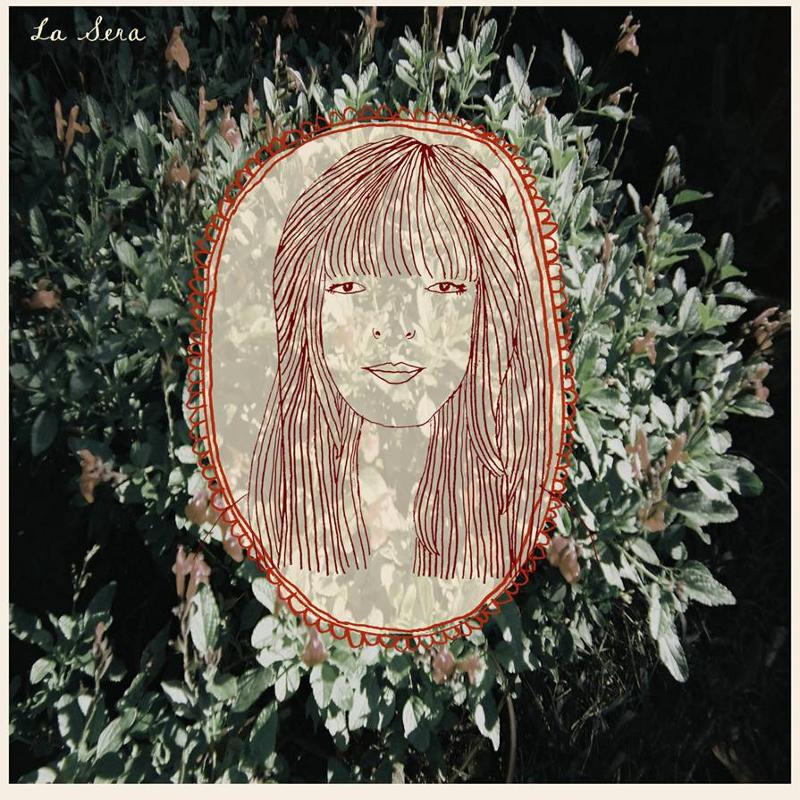 La Sera Debut LP, 7″ Out Now! Since joining all-female punk trio Vivian Girls during the spring of 2007 Katy Goodman’s DIY-style bass playing and drifty-faded vocals have sent waves of adoration rippling throughout Brooklyn’s pop punk circuit. In February 2010 Goodman started working on some fresh material that inspired the formation of her brand new band, La Sera. Her inspiration sprung from an attraction to early pop hits from the 1950’s and ethereal choral vocals. Her new songs contain warm celestial-pop melodies that echo with the dreamlike effect of a church choir and effuse a softer, less aggressive sound than the Vivian Girls. 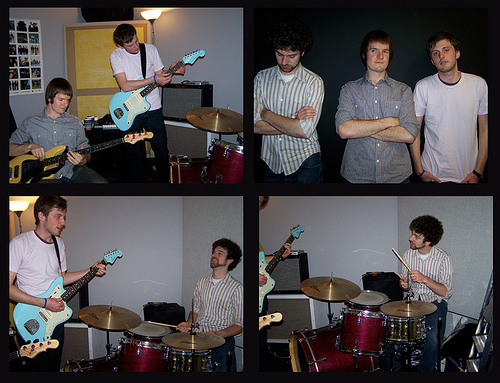 Hardly Art will release the full-length in early 2011, preceded by the limited 7″ for “Never Come Around” now. 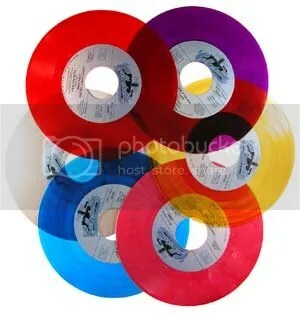 # = w/ No Age, OFF!, The Soft Pack, etc. New wave indie-pop quartet California Wives have premiered a new single off their EP “Affair” for download. The track has an upbeat pop rock sound somewhere in between Phoenix, Against Me and a John Hughes movie. 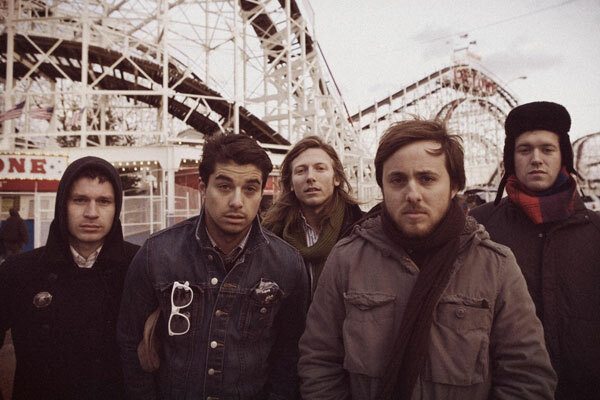 Formed in 2009, California Wives is Jayson Kramer (vocals, keys, guitar), Dan Zima (vocals, bass, guitar), Joe O’Connor (drums) and Hans Michel (guitar, keys), have spent the past year working on their 5-song EP Affair. Since then, the Wives have kept busy, they just cut a Daytrotter session last week, and continue to add dates to their upcoming Winter tour. Grinderman, currently in the midst of their North American Tour, were in need of an opener for their show one night in Washington, DC, and they were personally requesting Shilpa Ray be there to play the date. Without hesitation she jumped out the door, harmonium in hand, and was on her way south to the 9:30 club. 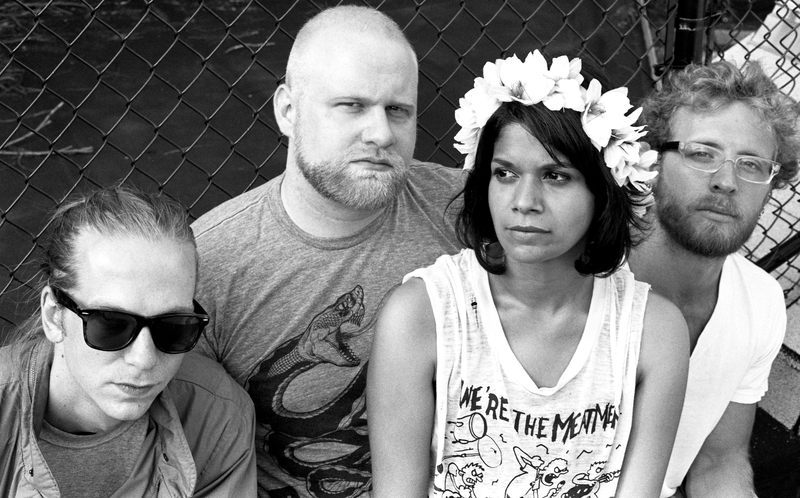 Once praised by Nick Cave as a “Band of The Day” in the canadian National Post, Shilpa Ray was honored to help warm up the audience that night. She then joined Grinderman on their next few dates in Atlanta, Memphis, and Nashville as well. Following the release of their album “Teenage and Torture” January 18th 2011, and a CD Release party at Brooklyn Bowl January 21st with Hooray For Earth and Soft Black, Shilpa Ray And Her Happy Hookers will embark upon a National Tour with Japanese psychedelic group Acid Mothers Temple. Check out this track from the new album, Heaven in Stereo, a punky garage rock with a great female voice in the lead. Out of Denver, Colorado come Woodsmen, an experimental ambient post-psychedelic (their genre, not mine) quartet. Featuring “totemic percussionists and two sonic animators who employ electric guitars, feedback loops, and recorded samples to build the dreamy astral soundscapes that define Woodsman’s sound.” While traveling up and down the West Coast, Woodsman stopped by Terroreyes TV in Sacramento to perform “Insects” from their upcoming album Rare Forms, out 1/25 via Lefse Records and Fire Talk Records. Earlier this year Lefse Records released their Mystery Tape EP, and will follow it up in January with their Rare Forms full length from which “Insects” is drawn. Heavily influenced by hazy mountain passes, the cinema of Stan Brakhage, and early 1970’s improvisational recordings by Miles Davis. Woodsman has crafted aural offerings that are uniquely their own. Watch full screen in HD! 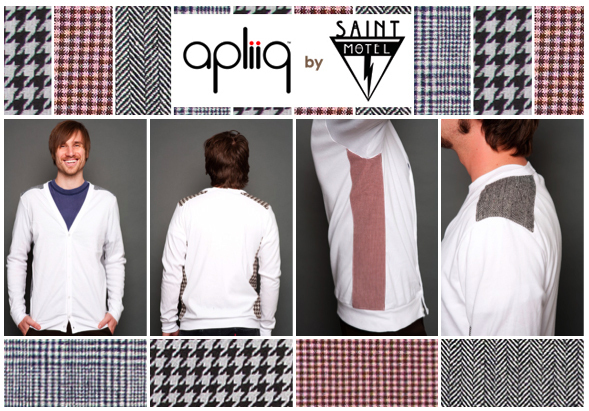 Saint Motel and clothing company Apliiq have just announced the release of a collaborative line of signature cardigans designed by Saint Motel. Like the tuxedo shirts the band wears on stage, each cardigan has a unique fabric chosen by each band member to reflect his individual style on each shoulder and on the sides of the cardigan (WHERE STYLE BELONGS.) According to the band and Apliiq, the cardigans are “perfect for a scotch fueled romp or for a night experiencing the thunder of Saint Motel’s live show.” They are not so perfect for the vomit rage after said night of scotch fueled romping though. Pick up the cardigan HERE.